Enjoying the EBCAA at a young age. 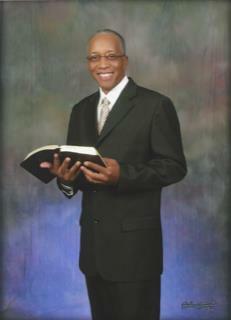 Pastor John Bowman is the new EBCAA Modorator and President. To God be the glory! Favour is deceitful, and beauty is vain: but a woman that feareth the�Lord, she shall be praised. The Ministers’ and Deacons Wives Ministry is made up of women within the Emmanuel Baptist Church Aid Association who are called by God to be by their husband’s side and set apart as a matriarchal figure to the entire association, the church, the community and their family. The functionality of this Ministry is to encourage and enlighten each other, to study God’s Word, teach Christian etiquette and ethics, serve as mentors for women and young girls, service the unfortunate and to cultivate, strengthen and operate within the gifts and callings God has given each of us as we work together in Christian love. What a fellowship...what a joy devine! May the Lord bless his soul!! All Rights Reserved to Emmanuel Baptist Church Aid Assoc.